36 inch chest 1 Left! 46 inch chest 1 Left! 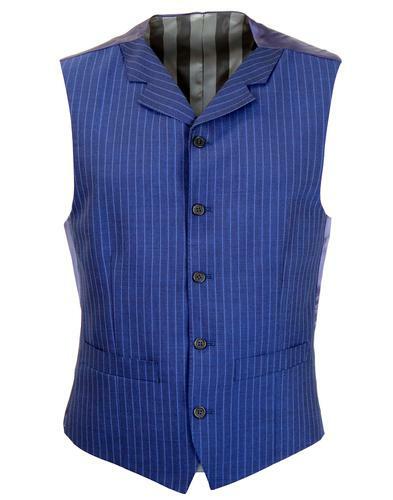 Men's 1960s mod 5 button V-neck tailored waistcoat in a stylish retro textured blue Donegal wool blend fabric. 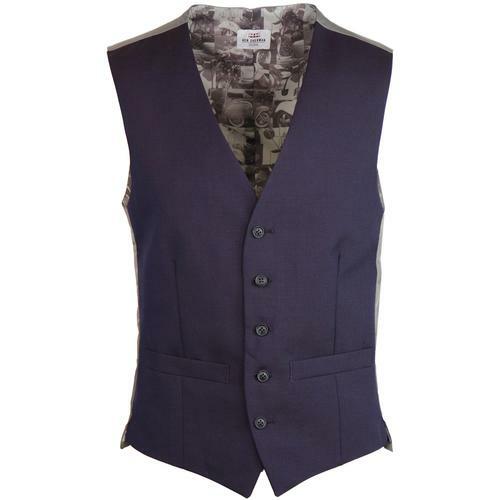 Cool retro buttons, jetted side pockets, navy sateen sheen back panel and back tab adjuster. Fabric made in Italy. 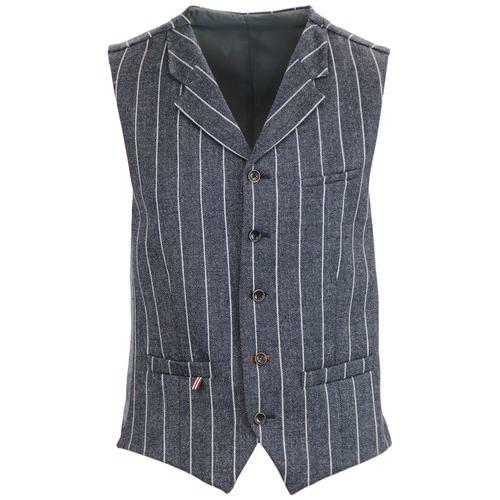 Team with the matching 2 button blazer jacket and slim leg trousers to create a classic mod tailored three piece suit. 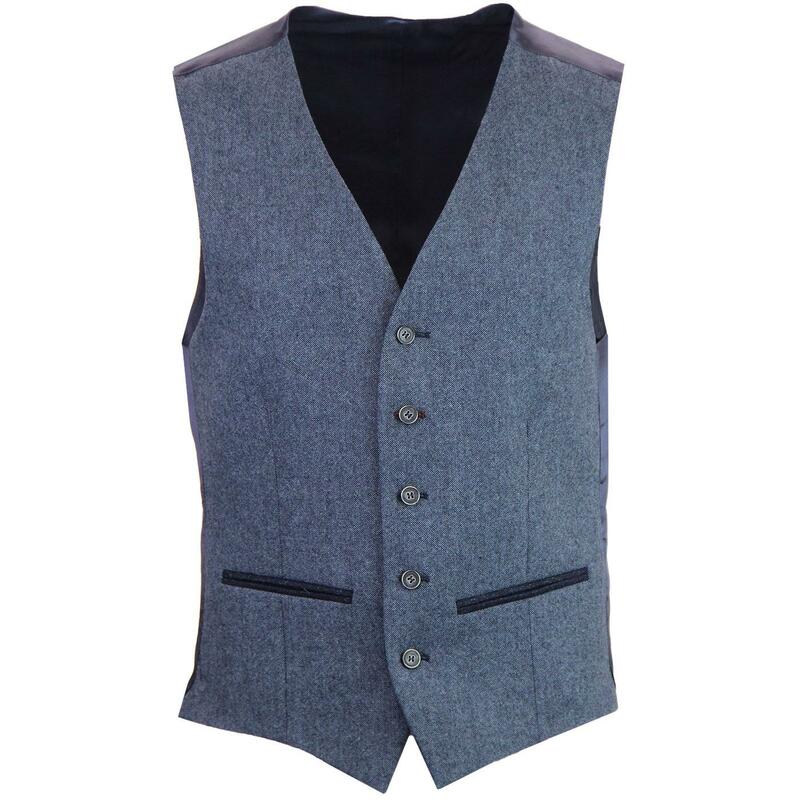 Men's mod 5 button V-neck waistcoat. Blue Donegal fabric made in Italy. Back tab adjuster to navy sateen panel. Composition: 65% wool, 30% polyester 5% other. Lining: 100% viscose. 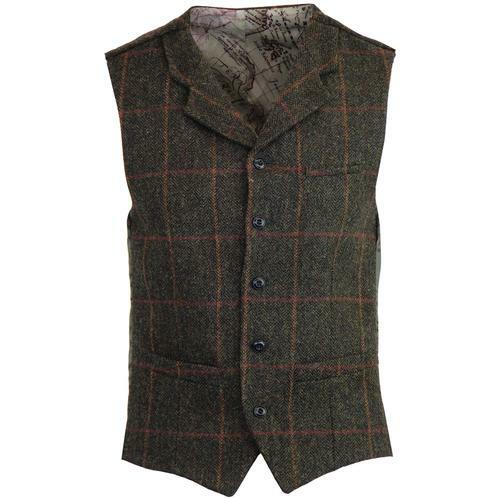 SKU: S19117PMW Scott Blue Donegal Waistcoat.